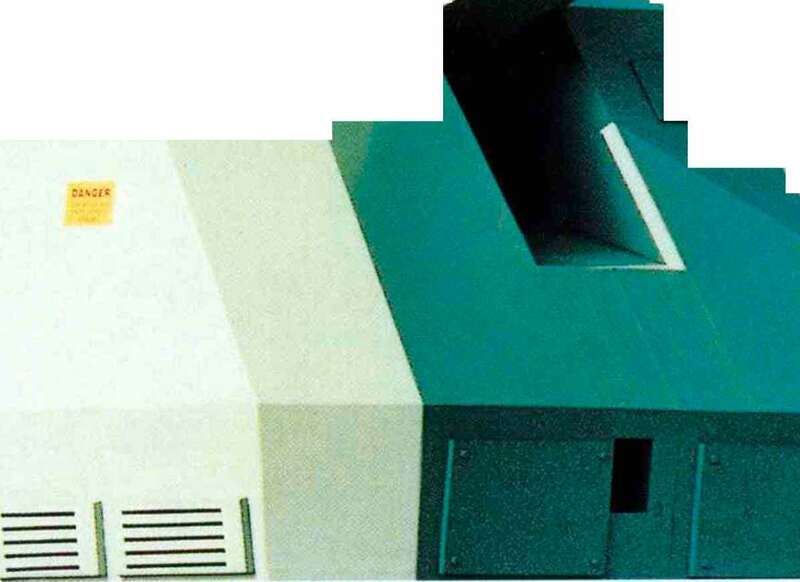 II,000kg (powered water-cooled quad). 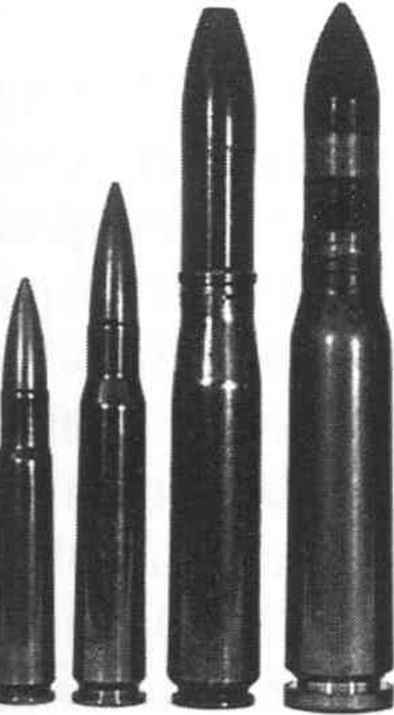 The larger mountings were generally aimed by director fire and considered effective at 2,500m range. 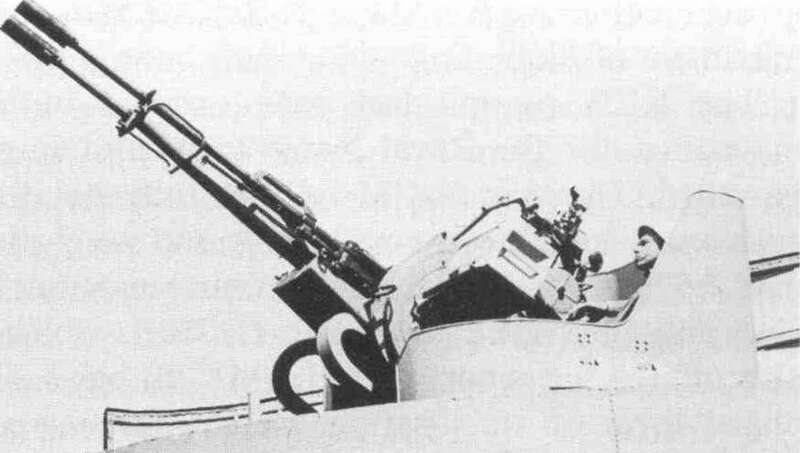 Even the 40mm calibre was found by the Americans to be marginal against kamikaze attacks, so they developed a very fast-firing 3" gun, although it did not see service until after the war. 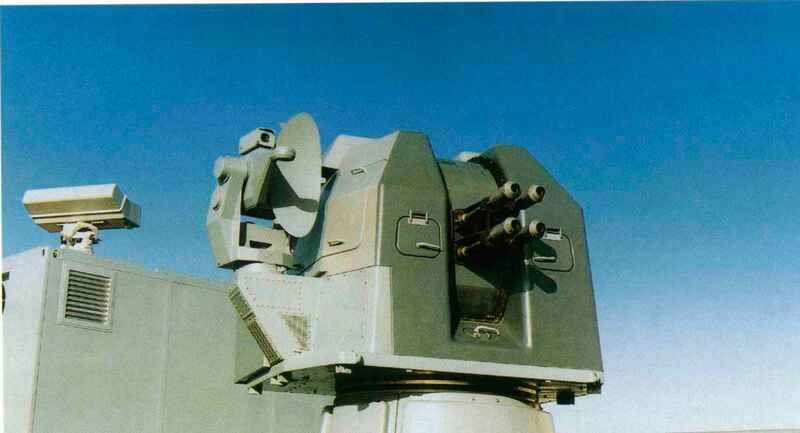 This also helped to bridge the range gap to the 5" DP gun, which had a minimum effective AA range of 5,000m. 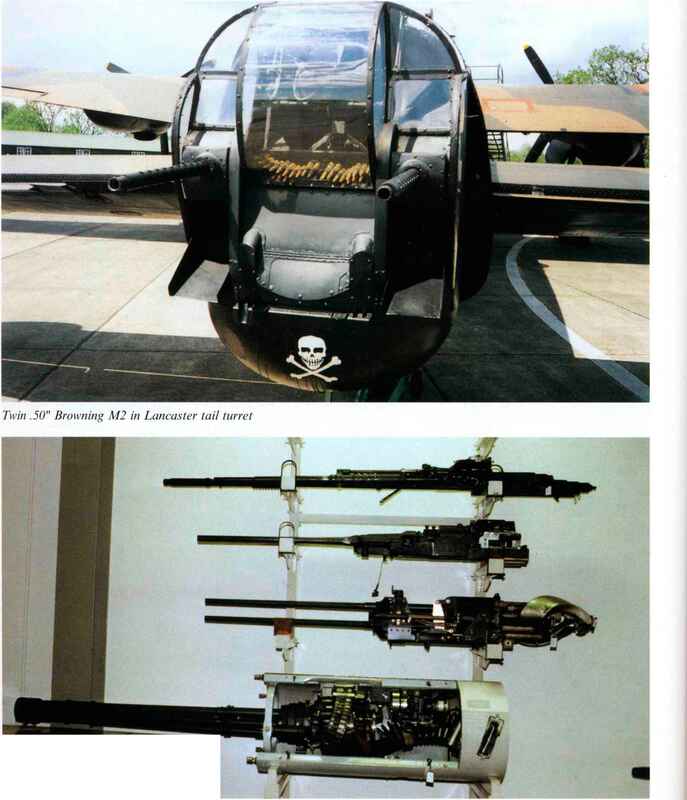 Despite these reservations, the Bofors was credited with 50% of Japanese aircraft shot down by USN AA fire between October 1944 and March 1945. 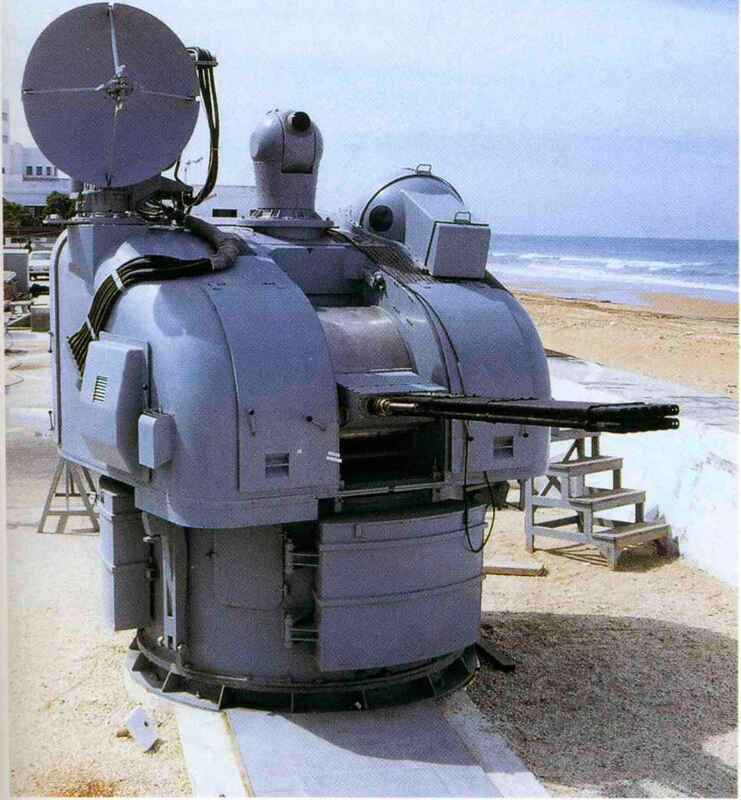 Not all of the wartime naval automatic cannon were intended for the anti-aircraft role. 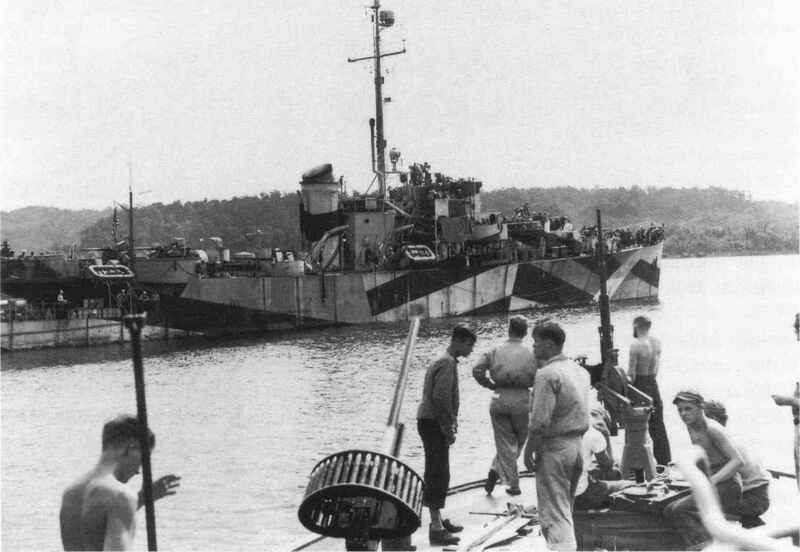 Small patrol craft such as motor torpedo and motor gun boats (MTBs and MGBs and German S-boote) fought a vicious little war with their opposite numbers, particularly in the North Sea and English Channel, and apart from the usual machine guns and 20mm and 40mm cannon they were sometimes equipped with unique weapons, the best known example being the British gun popularly known as the 6pdr, or 57mm Molins gun. 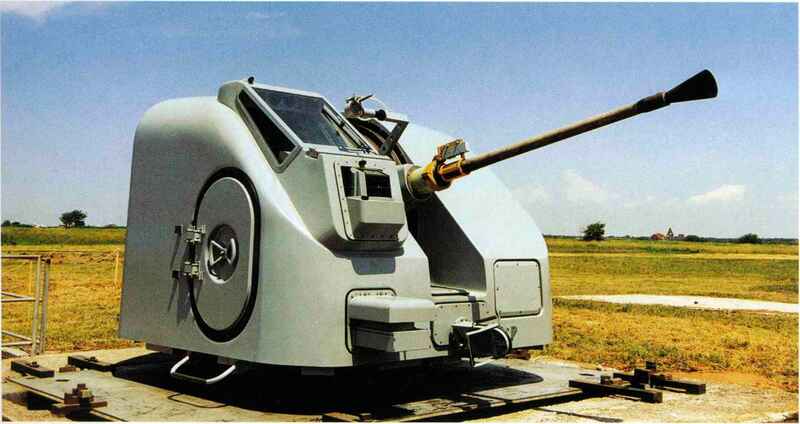 The Molins had a chequered history, being designed in 1942 as an automatic version of the army's anti-tank gun for mounting on a fast, wheeled tank-destroyer, the autoloader being designed by the Molins company. The arrival of the German Tiger tank switched the army's interest to bigger things, so Molins offered the gun to the navy instead (and subsequently to the RAF as well, as will be described later). 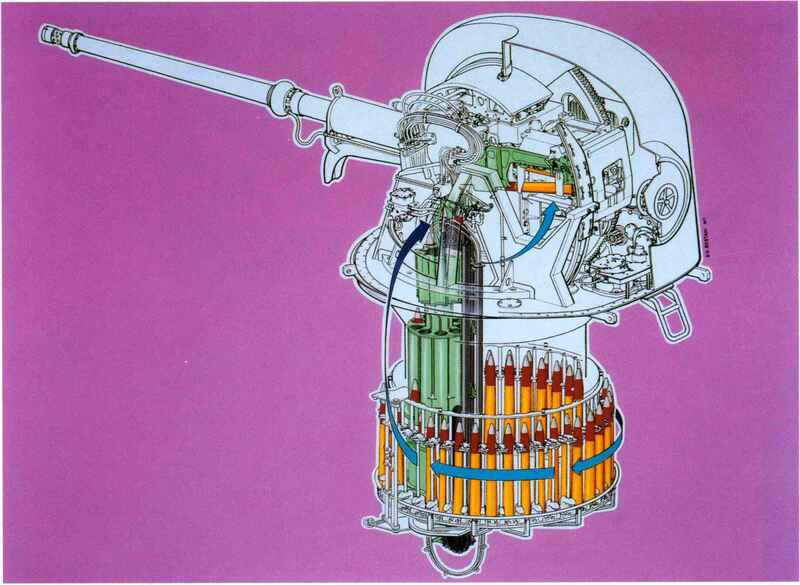 The gun was recoil-operat-ed and air-cooled, its gravity loading system fed by four-round clips of the bottle-necked 57 X 441R cartridges. 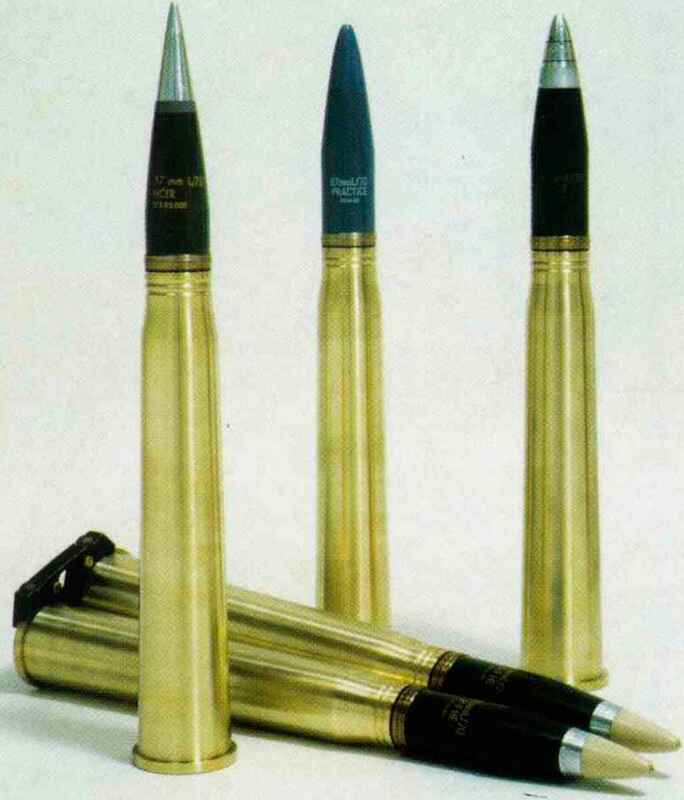 Strictly speaking it was semi-automatic as the gunner had to pull the trigger for each shot, but it was capable of 40 rpm. 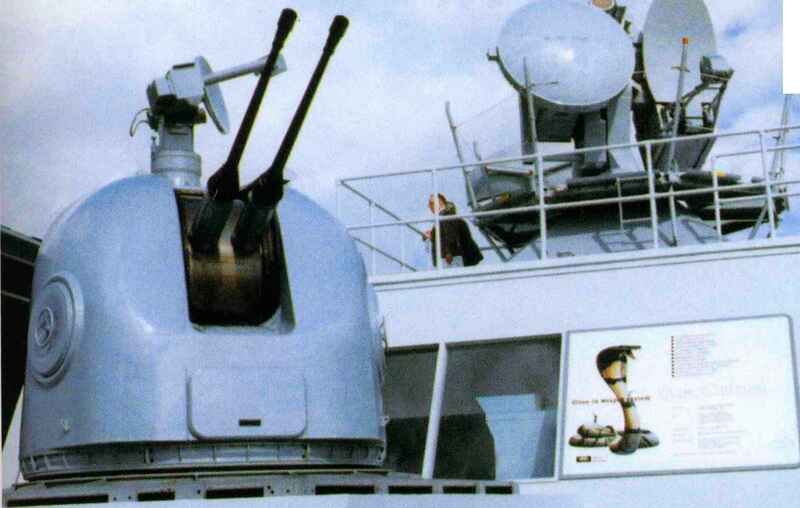 In naval use the weapon was known by the snappy title of the 46pdr 7 cwt Mk 11A on 6pdr Mk VII power-operated mounting', the total equipment weighing 1,747kg. in« riirn ■ii'iir, • < ' • • " r» ." 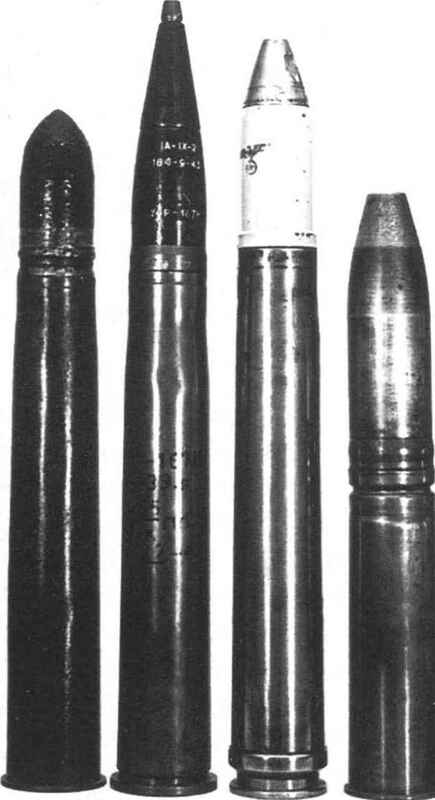 . . V j Wi- »£'»" . .
similar ammunition to the 2pdr), 3pdr Hotchkiss (firing a 47 X 376R cartridge) and the 6pdr 8 cwt and 10 cwt, each of which used its own unique ammunition (57 X 306R and 57 X 464R respectively). 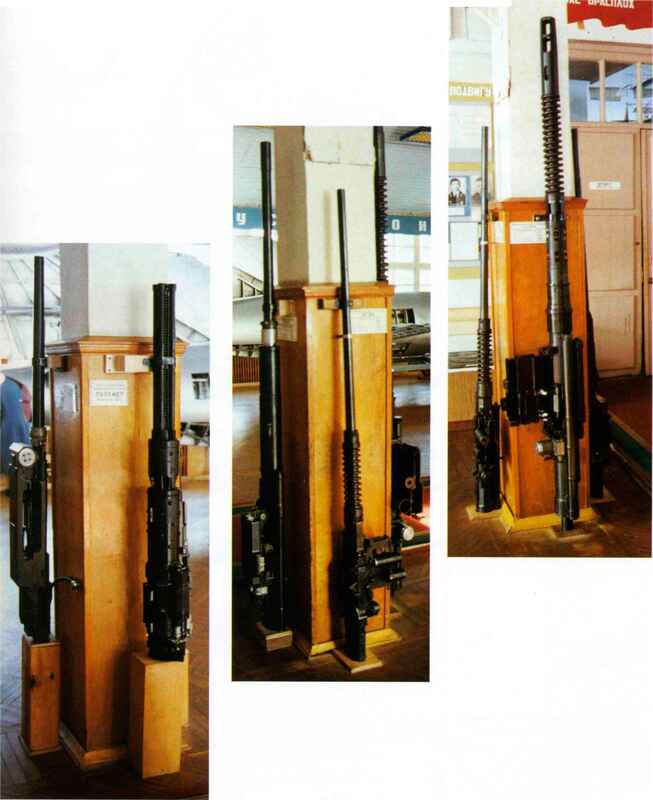 The 6-pdr 8 cwt was a nineteenth-century Hotchkiss design (also used to arm the first British tanks in the First World War); the 10 cwt was an army coast defence gun, known as the Twin Six as it was only fitted in a twin mounting, which saw limited RN service as an anti-S-boote weapon. 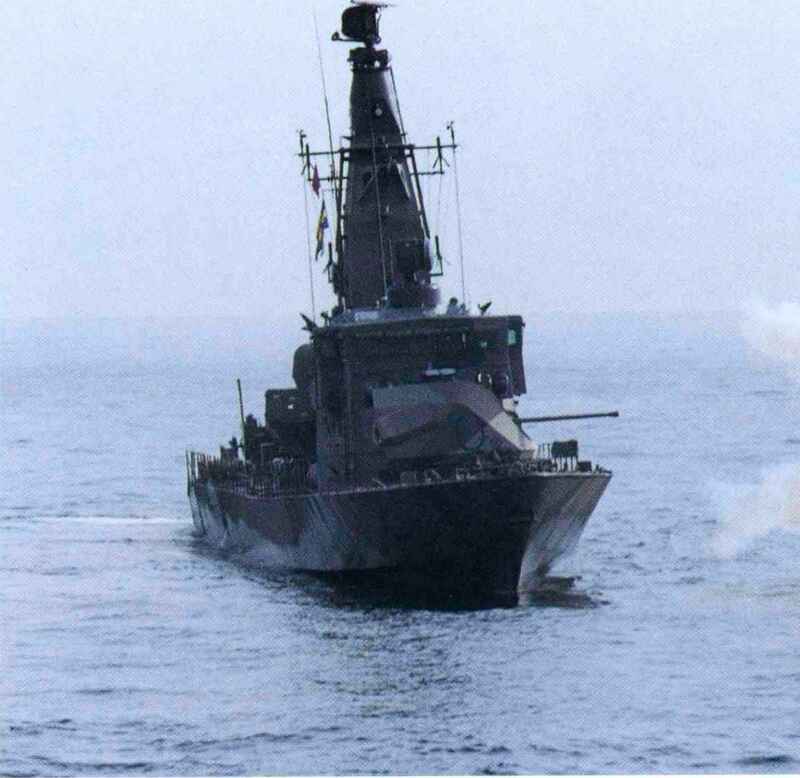 The British were not alone in 'borrowing* useful weapons from other services for their smaller warships. 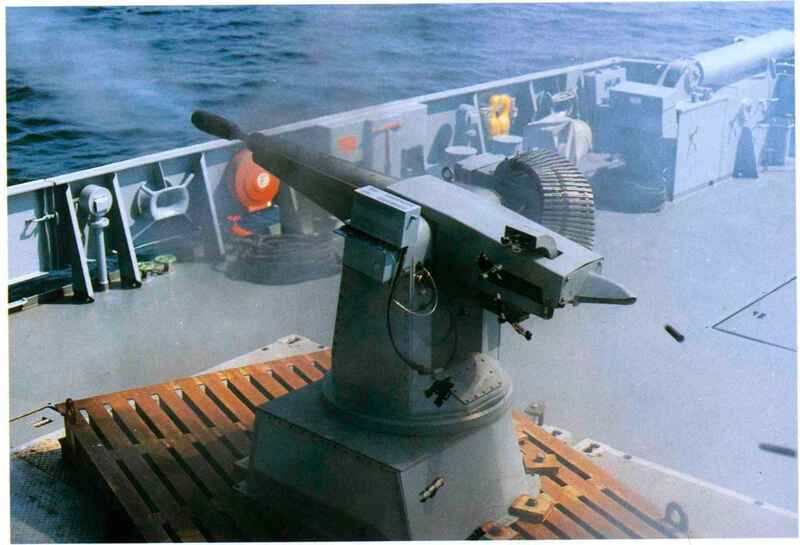 The USN made some use of the 37mm M4 aircraft cannon for arming PT boats for surface action and was the only user of the more powerful 37mm M9, fitted to a few PT boats by the end of the war. 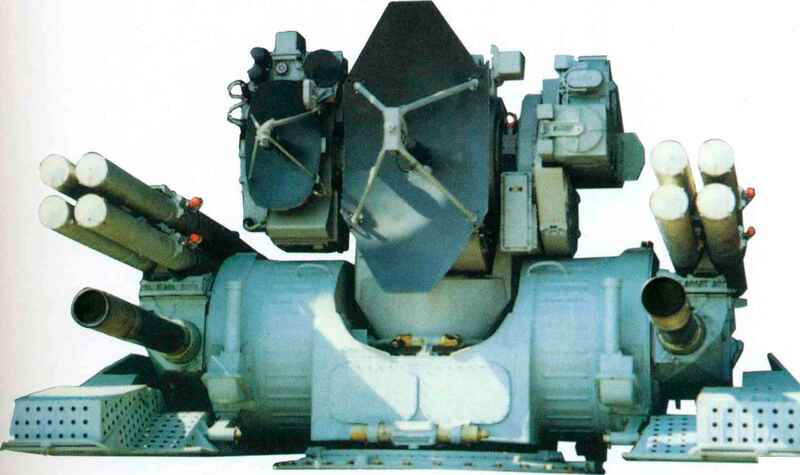 Also designed for aircraft, this featured a hoop-type ammunition feed over the gun similar in appearance to the M4's continuous-loop belt (which was shaped to fit inside an aircraft's nose) but in this case acting as a guide for the disintegrat-ing-link belt. 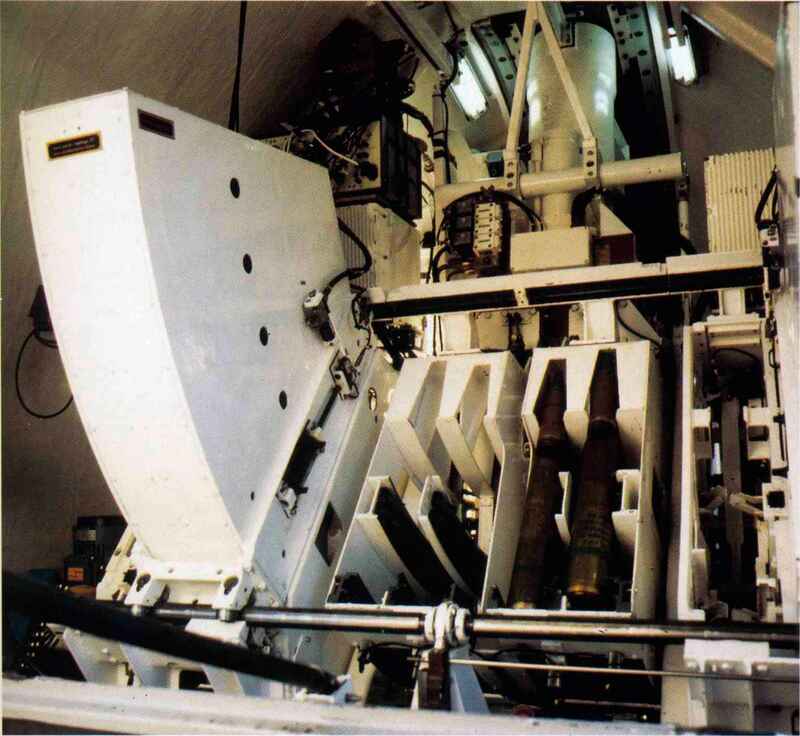 A 'wet* version of the M9 was reportedly developed for submarines, but not used.